It goes without saying that technology is making our lives simpler, opening up more opportunities and shifting societal pillars to give everyone a fairer shot at success. For this review, we wanted to focus on a small selection of the tech brands that have reshaped our society and how they’ve used the power of influence to attract customers. These three brands — PayPal, Dropbox and Squarespace — have used different types of influencers in their strategies, with micro, macro and even a brand being used to highlight their products. But they, shared technique of focusing on their story, rather than directly advertising the product. This PayPal video takes you through the motions of humour, curiosity and pretty large waves of envy as you watch popular comedian, Joel Dommett, embrace the adventures that PayPal could take you on. For those new to Joel, he’s a macro influencer who quite literally rose to fame after coming second on ‘I’m a Celebrity… Get Me Out Of Here!’ in 2016. While the fast-paced production of this video is highly suggestive that it’s an ad, the use of popular vlogging techniques makes this video just as attention-grabbing as any top travel video on YouTube. Over 215K viewers on YouTube have watched Joel make his way to the Arctic on eight different modes of transport, challenged by UniLad — with all transactions made via PayPal. From riding on a snowmobile with a dog on his lap to flying in a helicopter, this tongue-in-cheek, prankster-style video highlighted a whole range of perks that PayPal can offer. While the creative side of this video is high quality, the biggest downfall for us was the low level of engagement. This can mostly be blamed on the fact that PayPal turned off the comments on the video, which is never a great idea. Dropbox have been running their #CreativeEnergy campaign for a while, teaming up with artists, musicians, producers and filmmakers to showcase how Dropbox can be used in creative projects – especially when the artists are working remotely. You can scroll through their Instagram and YouTube channel to see a whole host of incredible installations that have been produced throughout the campaign. That being said, for this review we wanted to focus on a video that they produced with Lonely Planet. When you hear the term “influencer”, it’s easy to paint a picture of an individual in your head – whether it’s a celebrity or a high-powered instagrammer. But what’s exciting from this video is the growing mindset shift within the influencer industry that a collective like Lonely Planet can be an influencer, too. This video is fast-paced, full of wanderlust and an engaging example of good storytelling. Much like the PayPal video, this video takes you on a journey of using the product without making it feel like an in-your-face advertisement. 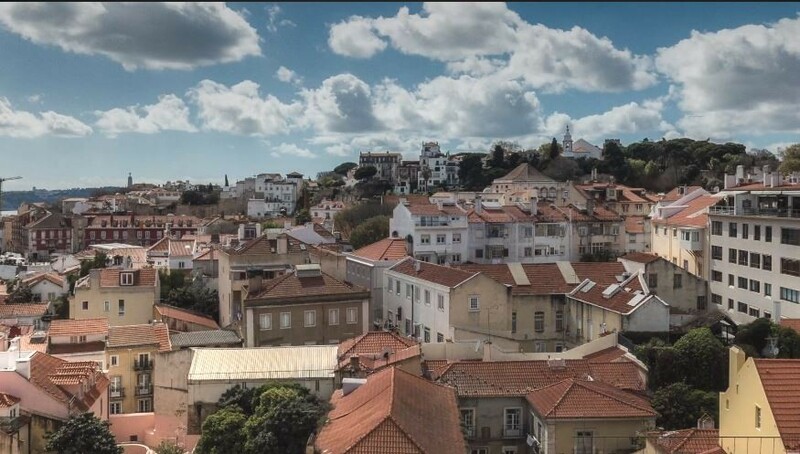 By focusing on Lisbon’s diverse offerings through a full range of camera angles, over 4.1K viewers on Facebook have been instantly made to feel that this is an insight into every traveller’s dream job as a Lonely Planet writer. Squarespace has been using a whole range of influencers in their marketing strategy for many years. Any podcast bingers of shows like Start Up, How I Built This and Ctrl Alt Delete will be all too familiar with the phrase: “This podcast was sponsored by Squarespace”, followed by a 10% code to make your own site. They’ve also used The Matrix’s Keanu Reeves for their recent advert, reaching 3 million people on YouTube and a whole host of major YouTubers, like Anna Akana, to do a number of sponsored vlogs where they define their brand values. Despite the whole array of videos that we could review, it’s the latest video in their ‘Squarespace Making It’ series that we wanted to focus on. As you may assume from the title, this series highlights how different Squarespace customers are growing their business through this easy-to-use website software. Last week, they shared the story of a prominent LGBTQ micro influencer, Fran Tirado, co-host of Food 4 Thot, executive editor of Hello Mr.and co-creator of Communion with 16K+ followers on Instagram. This video doesn’t mention Squarespace, despite being Squarespace branded, and instead focuses on how Fran was able to realise his potential as a writer and broadcaster changing the face of Queer Media. This professionally captured video contains a mixture of day-to-day, real-life cutaways, as well as classic interview-style shots, giving the impression that this video is a profile of Fran, rather than a plug for Squarespace. So far, the views on YouTube are low, with just over 1,000 viewers at the time of writing this post, but a smaller snippet from the piece shared on Fran Tirado’s Instagram has been seen over 3,500 times. The engagement on Fran Tirado’s Instagram was brilliant, marked at 100% by the RedPill ratings system. High engagement is often a key reason for using micro influencers in campaigns, as tend to have a closer connection to their audience. While it should be noted that the exposure for both here could certainly be higher, it’s a truly authentic example of influencer marketing. Pippa Moyle is a content creator here at REDPILL.